The Galaxy Note 7 release is scheduled for August 19th and comes packed with features. With an improved camera, a 5.7 inch Quad-HD curved display and a bigger battery, Galaxy Note 7 is already one of the list of most awaited smartphones of 2016. Galaxy Note 7 packs a large 3,500mAh battery and it will be available in two chipset models: a Snapdragon 820 and an Exynos 8890. 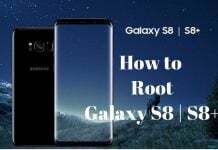 There is 4GB of RAM present plus 64GB of UFS 2.0 internal storage, along with a Gorilla Glass 5 to protect the smartphone from scratches and from damaging the screen from a height of 1.6 meters. When you buy the Note 7, it’s natural to also buy some of the best Galaxy Note 7 accessories. During the announcement of Galaxy Note 7, Samsung also mentioned new accessories. From the improved S-View Flip case with a built-in keyboard, battery cases to improved photography – there are quite a few accessories available for the Samsung Galaxy Note 7. The Note 7 uses the faster USB Type C charging and sync port. 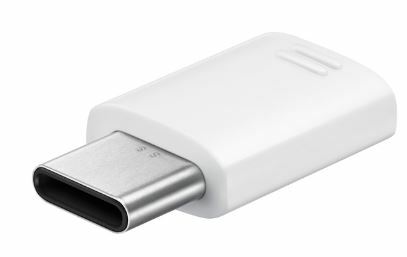 The USB Type-C is bidirectional – it can send power in both directions. So you can plug in either directions, charge other devices using the Note 7 and also charge the Note 7 faster. The new Type-C on Galaxy Note 7 means that the old chargers will not be compatible with this phone. With the new 25W USB-C Fast Charge Technology, your battery can go from zero to up to 50% in just about 30 minutes. It is available to buy on Samsung Accessories for $34.99. The Galaxy Note 7 LED Cover provides a cool new way for you to access your device status. Get rid of those boring covers and set the trend for cool, LED flip covers. When you receive incoming calls, missed calls and messages, the LED lights appear on the front of your cover to notify you. Get notifications about battery life status, volume monitor, current time and more. LED icons seem to appear out of nowhere on the front folio of this cover. There are gesture controls for music and other stuff as well. You can get it on Samsung Accessories for $59.99. This one’s got to be on the top of you to-buy list. This is an external battery and a wireless charging pad combined into one. While giving you a comfortable grip, it fits securely and directly over your phone without a case installed. The battery pack allows you to charge your Galaxy Note7 wirelessly. When fully powered, the battery pack holds enough juice to charge your Galaxy Note7 up to at least ½ a charge. The battery packs 3100mAh capacity and can be recharged. Buy this on Samsung Accessories for $89.99. 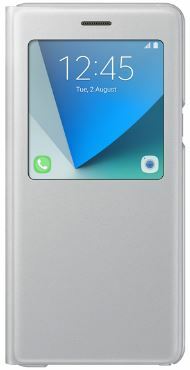 The S-View is very popular with Samsung device owners. The new Note 7 S-View protects your screen when not in use and can be easily flipped open for full access to the screen. The Samsung ID chip ensures instant access to critical features through a unique window interface, even when the S-View cover is closed. With the new Kickstand, you can position the case at a 45 degree angle in order to interact with your device. Time, weather and other status is visible. You can also accept or reject incoming calls with just a swipe. This definitely is one of the best Galaxy Note 7 accessories. Buy it for $49.99 on Samsung Accessories. If you do not wish to spend $49.99 on the S-View cover, Clear Cover Case is one of the cost-effective Galaxy Note 7 accessories out there. 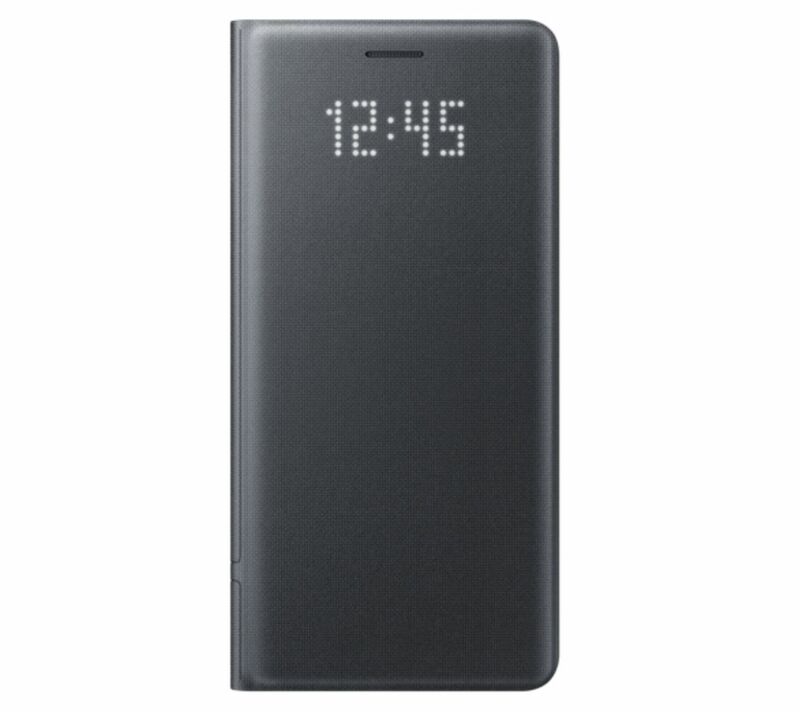 If you wish to show off the Note 7 design and still use a cover case to protect the screen, this one will suit your requirements. This cover case is a precision designed cell phone case that protects your device and is engineered to provide basic protection without hiding the design. Comes with clear-plastic with color-matched corners. 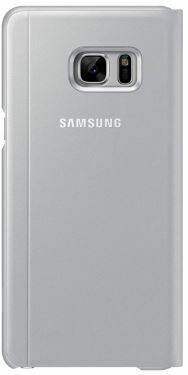 Buy this product on Samsung Accessories for $19.99. 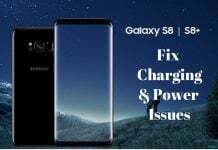 The new Type-C port on the Galaxy Note 7 renders the old charges and cables incompatible and useless. Micro USB to USB Type C Adapter is next on out list of best 10 Galaxy Note 7 accessories and could fix this problem. 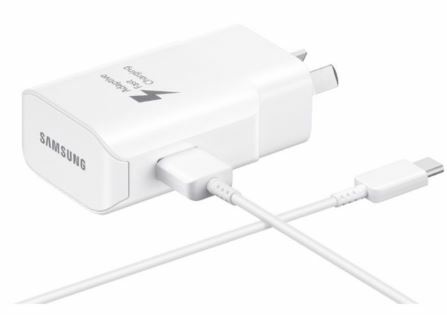 Samsung has released this product so that you can continue to the use the adapter with older cables and chargers. One of these comes with the phone but having one more is a good idea. 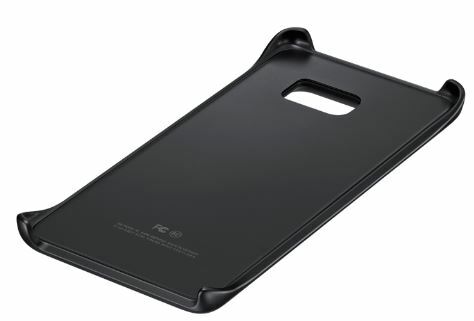 Buy this on Samsung Accessories for $9.99. The S-Pen is definitely one of the best 10 Galaxy Note 7 accessories. The Note S pen is made to complement your Galaxy Note & and is styled to look like a premium writing instrument. It’s small enough to fit into the S Pen compartment and is lightweight. To help you get started soon, the Replacement Stylus automatically launches the S Pen screen when you remove it from the Note 7. If you accidentally happen to break the S-Pen that comes with the phone, this one is worth a buy. Buy the extra S-Pen from Samsung Accessories for $39.99. Next up on the list of best 10 Galaxy Note 7 accessories is the Samsung Gear 360 Camera. 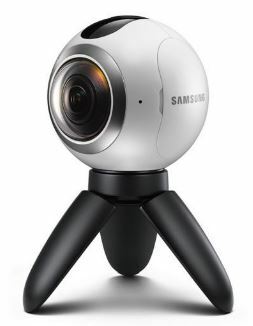 The Gear 360 has two 15 MP f/2.0 fisheye lens that capture photo and videos in 360 degrees. It’s not available for the general public as of now. Only select users and content creators have access to this product right now. But it’s expected to be released later this month for about $349. This is also one of the 10 best Galaxy Note 7 accessories that you should plan to buy. 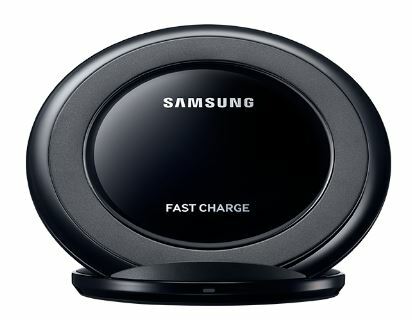 Available in black and white colors, the Samsung Fast Wireless Charging Stand gives you easier access to view the smartphone while being wirelessly charged. The stand is priced at $69.99 and is available on Samsung accessory store. This stand is also compatible with Galaxy Note 5, S6 edge + and later models. It has an always-on display mode that shows the time, date, battery life and other info while screen is off. You can buy this product on Samsung Accessories for $69.99. Last but not the least, this is next on our list of 10 best Galaxy Note 7 accessories. This SD card is waterproof and protects your data in seemingly worst environment conditions. Boasting X-ray proof technology, temperature and shock proof, this card offers high-performance, is stylish and secure. The Galaxy Note 7 has an SD card slot and you may as well buy this to expand your storage space. The 256GB EVO+ model is faster and offers the best experience, but is expensive and is priced at $249. The 128GB models are available for $38.49. Check out it on Amazon.com. That’s all folks! That’s our list of 10 best Galaxy Note 7 accessories. 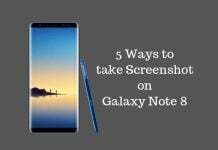 If you happen to know some of the other best Note 7 accessories that have caught your attention, feel free to post in the comments section. You can also have a look on the best Galaxy Note 7 cases.